In conjunction with the overall mission of EIU, Student Disability Services (SDS) is committed to facilitating the provision of equal access and opportunity to all campus programs and services for students with disabilities. The FOCUS program is a free, one-to-one mentoring program in which students with disabilities meet individually with a student mentor from Student Disability Services. The purpose of this program is to provide the participants with the skills and supports they need to achieve academic success at the college level. FOCUS has helped me realize my full potential. The Focus Program is truly helpful. It provides someone to help me learn the strategies which help improve my studying strategies through understanding my learning style. FOCUS has helped me develop a comfortable mode of communication with my professors on campus when I need to talk to them about my accommodations and extra assistance. My mentor has been extremely helpful this semester. She helped me to improve my time management and organization skills. She helped me to understand how to better hold myself accountable. FOCUS helped me realize that I always had the "tools" necessary to be successful in college. I just needed to know how to use them best. FOCUS is a great program to learn tips and strategies for study skills and note taking. I felt comfortable talking with my mentor about my disability. There was never any judgment involved. The Focus Program helped me to be more successful in my classes. For example, my mentor helped me to make sure I was "on top of" my assignments and that I turned them in on time. Also, my mentor helped me with organizational skills and study tips. 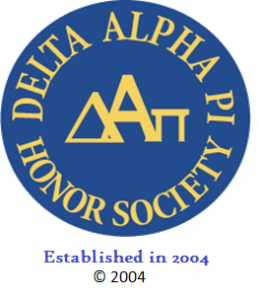 Honor Society History: founded in 2004 at East Stroudsburg University of Pennsylvania and is open to undergraduate and graduate students with disabilities. Purpose of Organization: presents an opportunity to change the perception of students with disabilities by recognizing their academic accomplishments. In addition, this honor society facilitates development of skills in leadership, advocacy, and education for participating students. Monday - Friday 8 a.m. - 12 p.m. & 1 p.m. - 4:30 p.m.